Healthy, Fit, and Focused: The Ultimate Reset Days 1 and 2 Update! Well, I've got days 1 and 2 in the bag so far on my 21 day journey of the Ultimate Reset. I've got to say that I'm actually really enjoying this so far! The foods and recipes I've been introduced to on this just in the 2 days are AMAZINGLY delicious! I'll be sharing some of those recipes with you. • I want a RESET and fresh start for my body! • I don't want to be a slave to food & emotional eating. 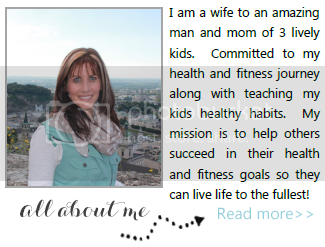 • I want to learn new healthy ideas and recipes for my family. • I want my body to feel the way it's supposed to, free of toxins. • I want to complete this 21 day journey to the end and be proud of how far I've come! 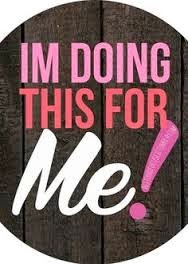 I'm doing this for me, because I know that when I am feeling the best, I can give the most to my family, friends, and challengers! I was totally excited to get day 1 started…I had prepped the night before some of the things I would need for the week. I actually had been prepping my body a few days before to be prepared for NO coffee in the morning. Which, I think my body needs a break from every once and a while! I knew I would get major headaches if I didn't slowly go off this! So I switched to decaf from Sunday-Tuesday. My headache was minimal on Wednesday when I started. YAY!!! I did experience a bit of nausea and I think that was some of the coffee headache talking! So the UR (Ultimate Reset) calls for you to drink Distilled water with "Mineralize" added to it. So you add back in proper minerals to the nutrient void distilled water and drink on that ALL day! Like over a gallon of water I've been drinking these last 2 days!! Water on the Ultimate Reset! I loved the food on day 1 it was so delicious and I was a bit hungry before lunch but I think that was my being used to having a snack between breakfast and lunch. This program calls for 3 meals and 1 snack (but allows for you to add in extra snack if you need to!!). So far I haven't because I think my portions have been a bit too big, so I want to truly make sure that it's hunger I am eating from and not habit! So day 1 I really was expecting to "feel" different, and other than the headache I was great! Here's my food I ate through the day! And I'll say, I'm a creature of habit and like the same things all the time, so this is really putting me out of m comfort zone…I'm discovering different snacks to have and enjoy the variety! I think it's good for my body to have variety!! Plus I will add, this meal plan is SO CLEAN!! It's amazing!! Baked Salmon, steamed asparagus and boiled baby potatoes. I must say I varied the salmon a bit...it was 100 degrees outside this day, I decided to grill the salmon instead and then there was a marinade that I was to use, so instead of marinading it, I made it and drizzled it over the top of the salmon and it was AMAZING!!! It was a basil/lemon marinade! Well, I woke up feeling great! I had prepared my lunch the night before. Gearing up for another REALLY hot day so I made sure that I had enough water. I think I drank more than a gallon on day 2! I didn't have any headaches this day, but toward the end of the night I was EXHAUSTED and I started having a few body aches. Not much though. I think this is part of the process of detoxing your body! Day 2 kind of finished with no real "feeling" that different, I felt great again, but was really tired at the end of the day! Each day I take a packet of Alkalinize…it's not too bad! It's my "Green" to alkalinize my body! Go Green!! 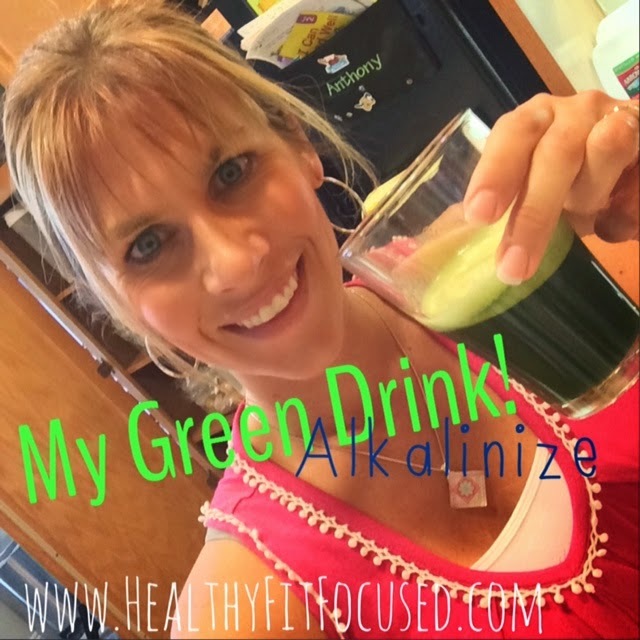 Alkalinize - My daily Green Drink! Oatmeal with blueberries, plain organic yogurt sweetened with pure maple syrup (my favorite!). Greek salad with leftover salmon and pine nuts…homemade greek dressing. I'm totally loving the food!! I look forward to the variety each day! !